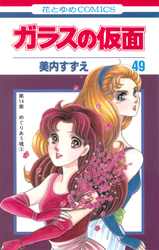 Originally, this manga work is a quite “serious” cartoon of a life of the girl who wants to be an actor describing her complicated human relationships with other people, such as her master, friends, rivals and so forth. 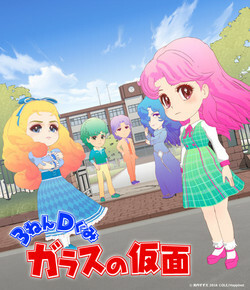 And it has been filmed as an serious anime and TV dramas a few times so far, but this time in token of 40th anniversary of this manga work, it is to be a comedy anime to describe school lives of young people as a kind of satire of cynicism of society. 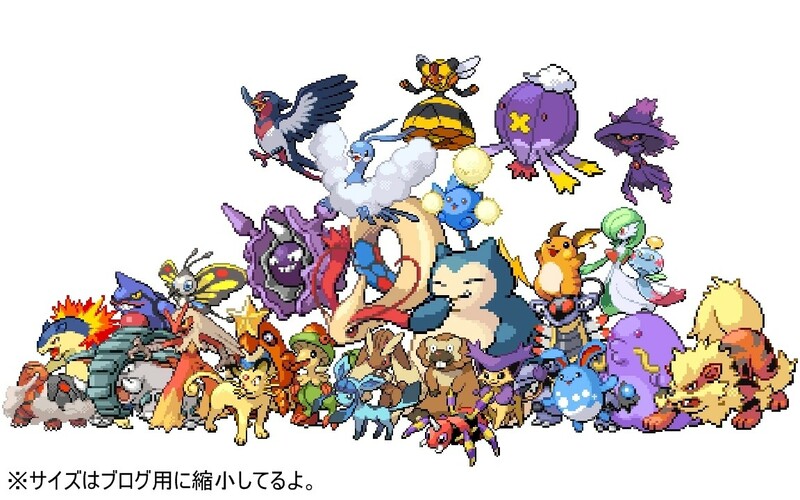 This festival is held as a tie-up between Pokemon and decks Tokyo in token of Decks’ 20th anniversary. 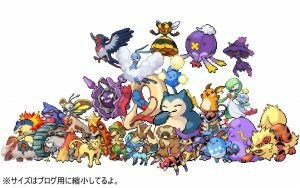 At the venue there is Illusion Dome where visitors can take a walk and see projected Pokemons’ images and footages at 360 degree. Visitors also can enjoy some special games and facilities, and meals at the restaurant and other attractions. 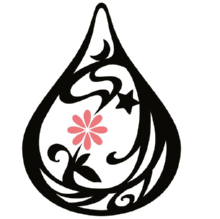 “No,9” means “the ninth category of art” in the French society and implies French style cartoons called “bande dessinée” influenced by Japanese Manga and subculture of the kind. 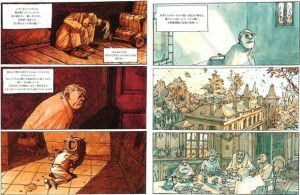 In other words, bande dessinée might be called “the hybrid between traditional French paintings and the Japanese cartoon culture”. For example, Katsuhiro Ohtomo, the creator of “Akira”, one of popular manga works worldwide is said to have given huge influence on the generation of bande dessinée now. 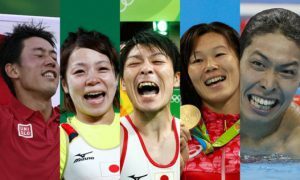 The total number of medals won by the Japanese athletes at the Rio de Janeiro Olympic Games Aug.5-21nd was 41, including 12 gold medals, 8 silver, and 21 bronze ones, which reached the record-hjgh for Japan ever. *Gold; four for Wrestling, three for Judo, two for Swimming races, two for Gymnastics,and one for Badminton. *Silver; three for Wrestling, one for Judo, two for Swimming races, one for Table tennis, and one for Track-and-field competitions. 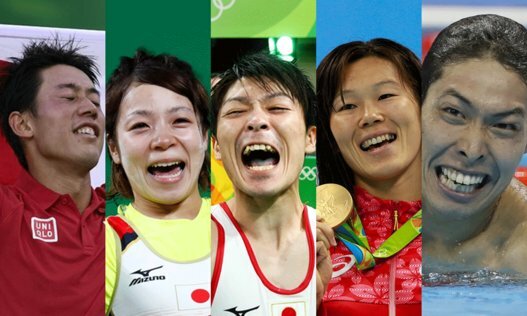 *Bronze; eight for Judo, three for Swimming races, one for Gymnastics, one for Badminton,two for Table tennis,one for Track-and-field competitions, two for Synchronized swimming, one for Weightlifting, one for Canoe slalom, and one for Tennis. There was an election of Tokyo Metropilitan Govenor on Jul.31, and Yuriko Koike has been chosen as the 20th Tokyo Govenor. 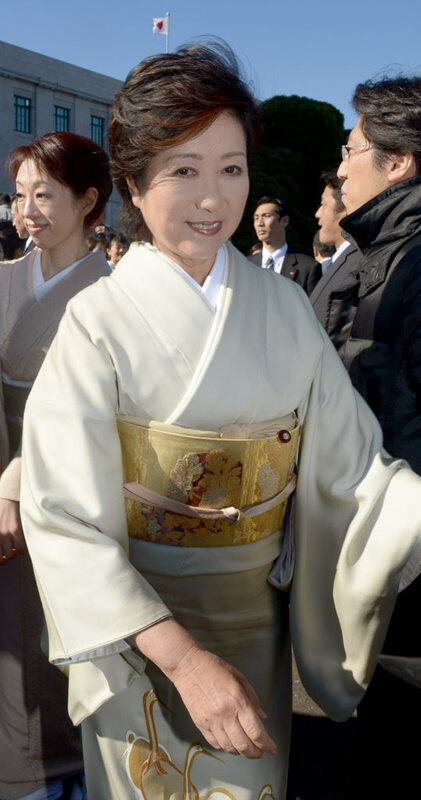 She is the very first female Tokyo Govenor in the history of Tokyo Metropolice of 70 years (or about 150 year history since the very first year of the modernization of Japan as Edo Metropolice, Tokyo City,and Tokyo Prefecture). Originally,she was a TV castor and an interpreter of Arabic language, and conducted a lot of coverages and interviews with people in the international community. And she served as a Diet member and Minister of Environment, Minister of National Defense and other cabinet member’s posts for years. Now she is a proponent of the “Non-pole” movement,which is clearing streets of electric poles and put electric wires underground in order to enhance scenic attractions of streets and improve secure and comfortable environments in society. 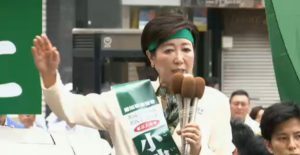 In addition, she made remarks in which she expressed her eagerness of preparing and organizing upcoming Tokyo Olympic Games in 2020. 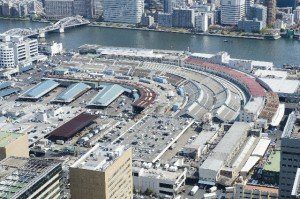 Therefore, some positive changes in tourism- related environments in Tokyo area and circumstances of hosting the huge international sport events in four years may take place from now on. 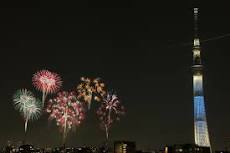 The popular annual summer event of the fireworks display festival at one of the main rivers of Tokyo, Sumida River was held Jul.30th. Totally, various fireworks of 20,000 were displayed with various colors and types, some of which were related to sports such as upcoming Olympic games. There were no panic or any accident and visitors there enjoyed the huge summer event. 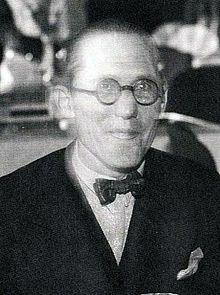 NMWS was establish in 1959 and designed by Le Corbusier ,a Swiss architect who was said to be “the grand master of 20 century’s modern architecture”. 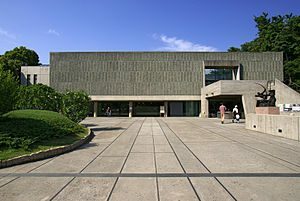 NMWA contains various western art works especially modern or 20 centurys masterpieces and the basic collections are of “Matsukata Collections”. 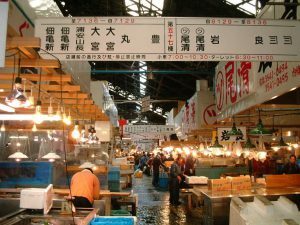 KOjiro Matuskata was a influential business person running major businesses in Meji -early Showa era and collected more than 10 thousand works mainly fron Europe, but some of them were lost in condusions of wars. Still France gave back some of his lost art properties and thus the museum was able to start with old collections. 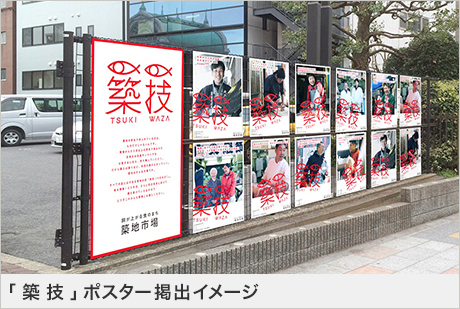 This time, NMWA has become the “first” buildings to be registered as a heritage site, “first” jointly registerated site of more trhan one country (transborder site) ,and “first” such a site in the area of central area of Tokyo (in the scope of the 23 wards of the city). For those remarkable points, the museum is expected to draw attention of a lot of tourists even more from now on. 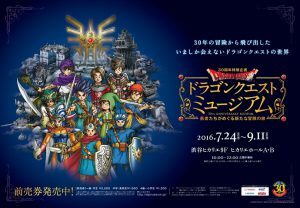 “Dragon Quest”, the nationwide or even worldwide famousrole playing game series is now celebrating its 30th anniversary this year. The first game of Dragon Quest or in “Dorakue”(its Japanese abbreviation),”DQ1” was released in 1986. 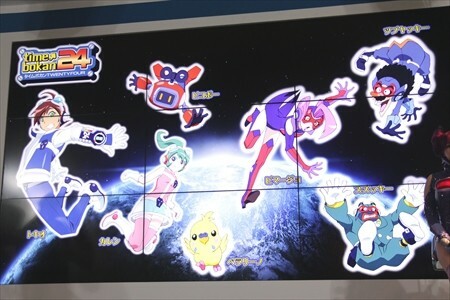 Since then 10 main games and some spinoff works have been released. 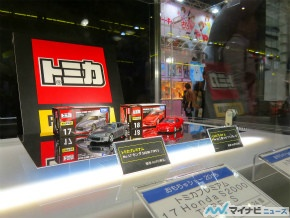 And some cartoon ,animation, toy products also have been released and now almost every Japanese knows the game series. “Dragon Quest Museum”, the special related exhibition to show the history and concept of Dragon Quest will be held Jul.24- Sep.11 at Hikarie Hall in Shibuya Hikarie in Shibuya,Tokyo. (https://dqmuseum.jp/) As a relevant event, the game’s theme music is played as a train melody at the Toyoko lines’ platforms in Shibuya station Jul.5-Sep.12. 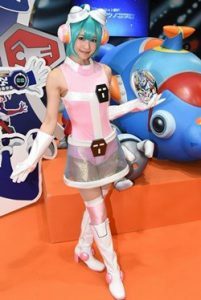 The first two days were for business meetings and stage shows and the latter days were for open for public and lay visitors and shows, such as concerts and release of new information about new toy products or TV anime programs. 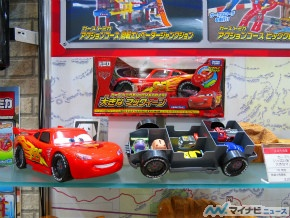 About 30 toy related businesses,such as toy manufacturers, animation studios, amusement parks, and so forth particiated in the show preparing booths to promote their products and activities. And totally about 160,000 people visited this event. Barak Obama, the current US president visited Hiroshima, the very place that the first atomic bomb exploded in human history on May 27th during the period of the G7 Summit held in Ise-Shima as I write in the previous post here. 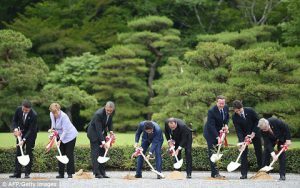 He now has become the very first incumbent US president that visited the historic damaged area in the history after 71 years have passed since the end of WW2. 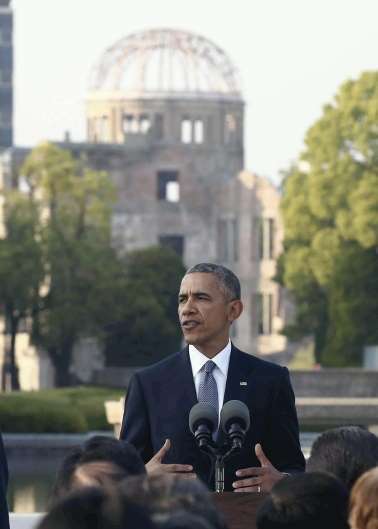 Obama visited Hiroshima Peace Memorial Park where Peace Memorial Museum and the “Genbaku Dome”, the only remainig building that was damaged by the atomic bomb and is disgnated as a World Cultural Heritage Site of Unesco as a “negative asset of the human kind”. 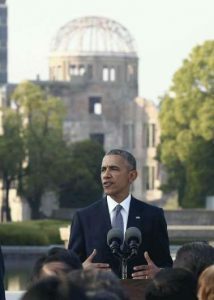 (http://www.pcf.city.hiroshima.jp/index_e2.html) (http://whc.unesco.org/en/list/775) At historic site, Obama gave a quite historic remark referring to his utmost condolences to all the victims of the WW2 and the importance of realizing and sustaining world peace giving up nuclear thoroughly. He also donated bouquet for the souls of the victims there. 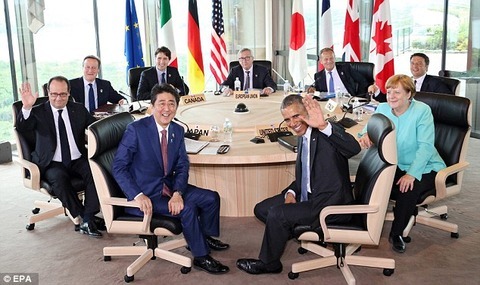 PM Abe joined the ceremony together with Obama at the park. 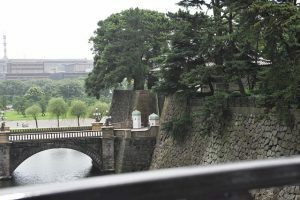 The park and items there are naturally so popular and famous that a lot of people including foreign tourists visit there. Actually, I have been there many times taking my customers who are foreign tourists as a tour guide. All those customers seemed interested in the site. A lot of people worldwide are interested in the tragic history of the war, the importance of world peace. I hope this park area which has laready been a populat tourists’ desination will be even more popular and well-known with the US president’s historic and impressive visit to the place.